In a nearly eight-minute video, Sarah Palin says "journalists and pundits should not manufacture a blood libel that serves only to incite" hatred. 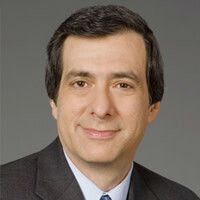 Howard Kurtz on her un-presidential move and why "blood libel" offends Jewish people. The talk in political circles has been that Sarah Palin had a rare opportunity in the wake of the Tucson tragedy to reach out beyond her base and recalibrate her image beyond that of a gun-toting mama grizzly. After all, the strategists said, there was some sympathy for her—beyond the Palin-haters—for being tied to the shooting of Gabrielle Giffords, even if she had erred with her “reload” talk and by posting that map with the gun-sight targets last year. Instead, Palin chose to throw kerosene on the embers of a smoldering national controversy. Blood libel, for those who are not familiar, describes a false accusation that minorities—usually Jews—murder children to use their blood in religious rituals, and has been a historical theme in the persecution of the Jewish people. As someone who has argued that linking her rhetoric to the hateful violence of Jared Loughner is unfair, I can imagine that the former governor was angry about how liberal detractors dragged her into this story. But after days of silence, she had a chance to speak to the country in a calmer, more inclusive way. She could have said that all of us, including her, needed to avoid excessively harsh or military-style language, without retreating one inch from her strongly held beliefs. Instead she went the blood libel route. With her defiant video, Palin continued—no, escalated—her war with the press, which plays so well with her strongest supporters (despite a recent thaw in which she actually granted a few interviews to the lamestream media). She continued her us-versus-them approach to political discourse. She punched back at critics rather than trying to fashion a unifying message. I would say that sounds like the response of someone who wants to stoke her base and further her lucrative career as a culture warrior—not someone who is plotting to run for president. Jonah Goldberg, National Review: “I think that the use of this particular term in this context isn’t ideal. Historically, the term is almost invariably used to describe anti-Semitic myths about how Jews use blood—usually from children—in their rituals. I agree entirely with Glenn [Reynolds’s], and now Palin’s, larger point. But I’m not sure either of them intended to redefine the phrase, or that they should have.